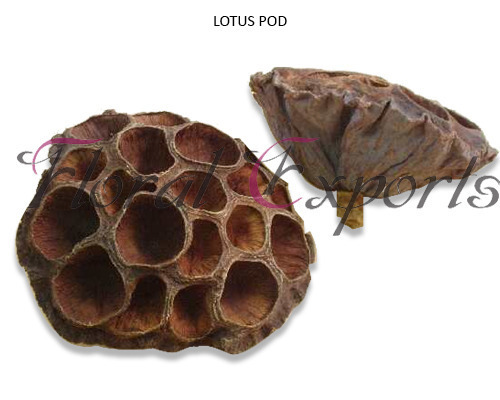 Lotus pods grows in water and is from the lotus flower, the National flower of India. It can be fixed to a stem and can be painted gold and silver and also glittered. Its available in 2 cms upto 12 cms in diamater. Its natural brown color gives it a very good look for decoration in houses offering a very exotic look. Its Botanical name is Nelumbilim Speciosum. Established in the year 1974, at Kolkata, (West Bengal, India), We “Floral Exports Inc.”, are a Sole Proprietorship (Individual) firm, engaged in manufacturing, wholesaling, importing and exporting the finest quality range of Dried Flowers, Sola Flower, Potpourri, Christmas Decorations etc. Under the direction of our Proprietor, “Kartick Chandra Adak”, we have successfully expanded our business in the market. We import our products from China, Hong Kong and Indonesia and export our products to Australia, Italy, etc.